Your day of fishing starts around 7:30-8 AM and ends about 4 pm. Should we limit on one species before 4 pm, we will search for others. 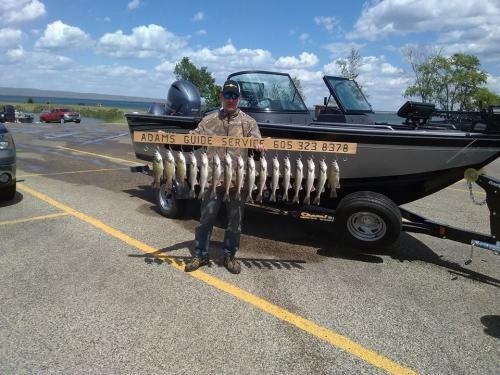 The rate includes gas in the boat, bait, rods, reels and tackle, and the cleaning and packaging of your catch. Not included: Fishing license, liquids, meals or gratuity. You may want to bring sunglasses and sunscreen or raingear, hat, etc. I do supply transportation from lodging to landing, as long as lodging is within all package rates. Purchase your SD fishing license from The South Dakota Game, Fish and Parks department, which allows you to purchase your fishing license online. Click here to go to the SDGFP website. 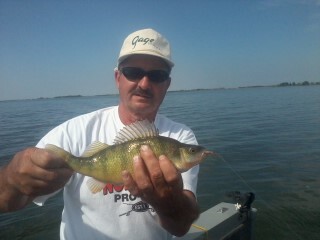 Species include: walleye, pike, smallmouth bass & whitebass. *All rates are subject to a 6.5% South Dakota sales and tourism tax. I do sub-contract other guides for large groups. Call me at 605-323-8378 or email andre@oahewalleye.com Use PayPal Add to Cart to easily submit a deposit. $100 per day deposit required. Please call to finalize dates and number of anglers. Note: The Laura Ingalls Wilder pageant is July 5, 6, 7 - 12, 14, 15 - 19, 20, 21, 2019, should you be looking to plan a family vacation with different activities. Great day with clients on Lake Thompson. 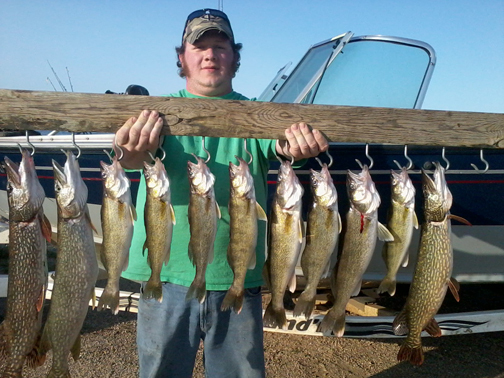 Scout trip: Friend Chad and I landing these dandy pike and walleye. Package Rate - Includes Lodging at Quality Inn, Pierre. Amenities include indoor pool and continental breakfast. Package Rate - Includes Lodging at Super 8, Pierre. 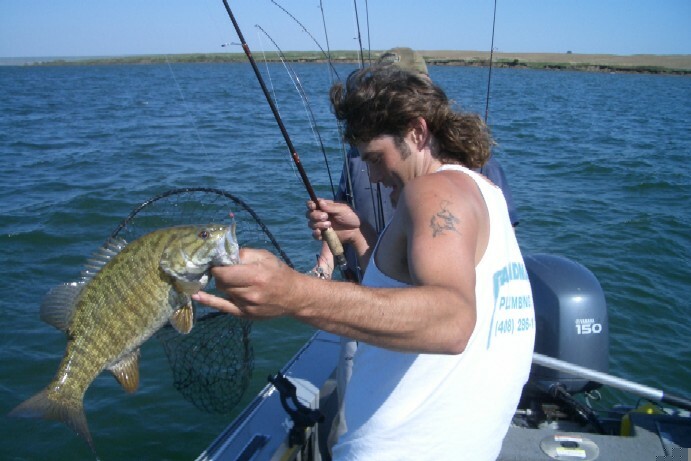 The great thing about fishing the West Bend area, is you're gonna catch some trophy smallmouth bass going for walleye.